This subject is a little tired for me. Unfortunately as people within my network get through Walter Isaacson’s biography on Steve Jobs, the discussion continues on. First and foremost, I love Apple products. I’ve always loved Apple products. I financed my first computer, a Macintosh Classic, at the University of Washington bookstore. It took me a year to pay for it but it was worth every penny. That computer changed my life! It gave me the tools to be a designer, a communicator, an artist. Today, my company Rational Interaction, is a multi-platform interactive agency. 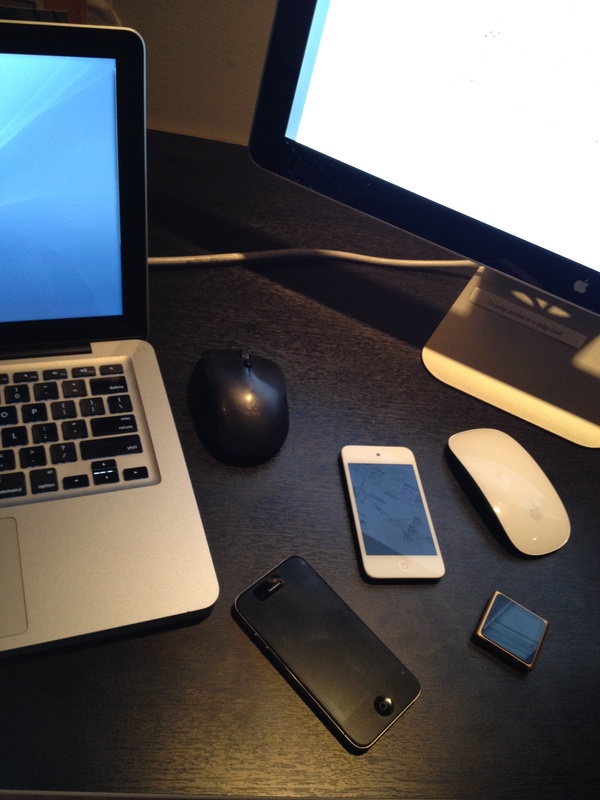 In our studio, we have our share of PC’s, but Apple is our favorite, our preferred platform. For design, for development, for our own personal use. There is no way around it – we heart Apple. With so much love for a company, for it’s products, for it’s leader, it was devastating when I started hearing excerpts from the bio “Steve Jobs” about how Steve was as a person and how he operated his company. So now, with a bit of time removed from his death and the biography, I’m actually pretty annoyed to hear Steve continually being idolized and “quoted.” Steve was a brilliant entrepreneur and self-promoter. He had an unflinching and intuitive design aesthetic that was a driving force within Apple. But he also stole the vast majority of “his” ideas from those closest to him, claiming ideas just told to him as his own. I won’t even go into how he was as a father or a friend. Suffice it to say, in the end Steve was a jerk. Not just a jerk, but a BIG JERK. He intentionally made people cry. He belittled them. He exploited their weaknesses and took advantage of their kindness. Steve was a bully. Understood Steve was a flawed individual. Really, we all are. But it’s the “meanness” in Steve I can’t quite get over. For somebody who brought so much delight and happiness with the products he delivered, I just wished he could have been a better person. Maybe it’s the glass half full in me, the eternal optimist, but I can’t help imagine what he could have done in the world if he actually had been kind, a decent guy. I think the New Yorker summed it up well in this article by Malcolm Gladwell. Steve’s life was “messy”, and while he changed technology and product design forever, he was a “tweaker”, someone who didn’t create but rather refined other peoples ideas. I will no longer idolize the person that is Steve. Instead, I will idolize the team that was behind him at Apple, the amazingly talented designers and engineers that are the “true” creative geniuses in the story of Apple. Previous Post Is the “I’m going to be healthy” resolution already getting to you? It is me. Two weeks in. That’s about right.